Final Fantasy XIV and Monster Hunter World crossover to bring a powerful beast, Behemoth, into the fray. Defeating Behemoth allows you to advance in hunting more powerful and greater beasts in Monster Hunter World. However, beating Behemoth is not as easy as you may think. You will need to study his behavior and work with others to get the job done. Here we give you five easy tips and tricks to destroy the mighty Behemoth in Monster Hunter World. Behemoth’s enmity to put simply is his attention. Once you attack Behemoth’s face, his attention will be drawn to you. Enmity is indicated by a red glowing line connecting Behemoth the player attacking him. To take advantage of his enmity, work with other players. What you can do is let one player attack him in the head to get his attention. While Behemoth is busy attacking the player, you and your friend should attack Behemoth in other parts of his body. The player who will get the enmity should use shielded weapons like lance, sword, and shield. Knowing Monster Hunter World Behemoth weaknesses affects the weapon that you should use. One of his weakest body parts you would want to target is his breakable face or head. You can use a three-star sworn or hammer to smash his head. You can also cut his tail using three-star greatsword or hammer. 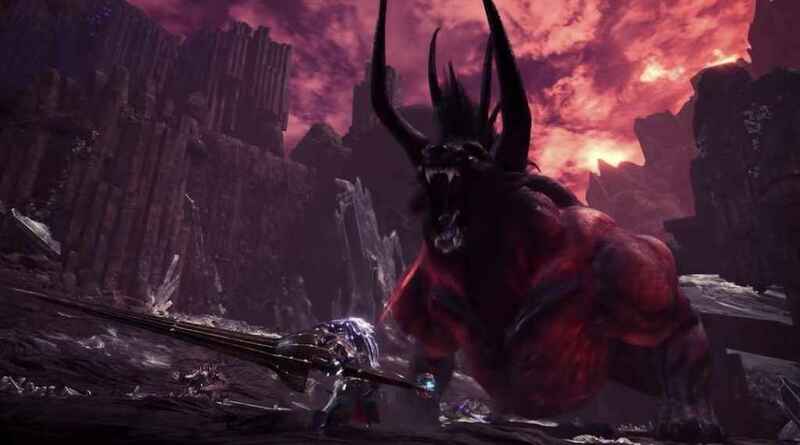 It was reported that Behemoth is susceptible to the dragon element. You can also use status effects like poison, sleep, blast, stun and paralysis to defeat him. Behemoth’s attacks are really devastating like the Charybdis. It releases tornadoes which knock down players, making them open for follow-up attacks. Then there’s also Thunderbolt which sends electrifying bolts into the ground. Also, be alert for boulders dropping when Behemoth uses Meteor and Comet attack. Behemoth’s ultimate attack is called Ecliptic Meteor – it can entrap you as it blocks all ways to escape. However, a neat trick is that you can use the boulders that fell during Comet attack to protect yourself. Monster Hunter World players should prepare for bleed damage. To remedy this, put sutures on your armor or use Astera Jerky and Sushifish scales. Focus you and your friends attack on his tail so you can sever his tail quickly. This way Behemoth will not able to use his tail swipe attack and will be easier to beat as a result.